Home → CMO Manifesto → Is Customer Value Maximization the panacea to Retailers’ Woes? Retailers face constant challenges owing to multi-channel convergence, social media and the explosion of mobile phones. These channels also facilitate development of new behaviors among consumers that are taking them further away from brick-and-mortar establishments. Case in point, showrooming. Some specific challenges by retailers today are described below. Retailers have hundreds of promotional campaigns running every day. How can they plan promotions based on customer response across channels to optimize return on promotions? They have millions of customers doing tens of millions of interactions every day. How can they ensure that they don’t lose sight of opportunities to maximize value at each interaction – physical or remote? How can they increase customer value from Retail Outlets – their major channel that doesn’t lend itself well to measurement? Retailers have a lot of channels for interacting with customers. How can they track customer movement across different channels to understand and manage cross-channel influence? Customers are not loyal towards their brand. How they satisfy them with services to keep them loyal with the brand? They have millions of customers. How can they craft strategy to segment them to like-minded ones and target them with relevant messages delivered through the correct channels? Considering all the challenges that retailers have to deal with, there is a way to address in an accountable, controlled manner. At Xerago, when organizations come to us with such business challenges, we recommend that the Customer Value Maximization (CVM) framework be implemented. CVM can help retailers solve a whole range of profitability challenges with ease and efficiency. Comprehensive support for next season’s merchandise decisions through in-depth understanding of customer behavior and purchase patterns. End-to-end support for automating the creation, execution, reporting and optimization of various marketing lifecycle campaigns. Comprehensive support to track customer movement across different channels to understand and manage cross-channel influence. Comprehensive support to address retailers’ unique need for manipulation of very large and rapidly changing data sets. Create an immersive experience to the users across various touch points that enhances brand recall which in turn increases loyalty towards the brand. Use data that has been accumulated across various silos to optimize marketing functions aiming at better ROI. 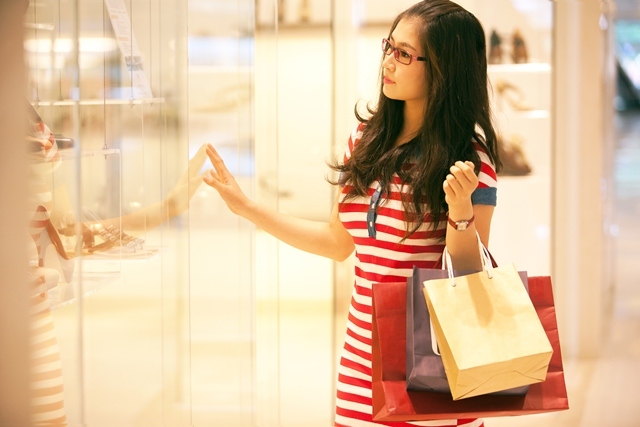 Implementing customer value maximization can help retailers by achieving the following goals. Since CVM focuses on all stages of marketing lifecycle, it delivers consistent increase in footfalls to the store by targeting both existing customers as well as prospects. Since CVM is aimed at understanding the requirements of the customers and mapping with marketing actions, the marketing activities would yield higher conversion. Since CVM can track and analyze user actions almost real-time, retailers have the opportunity to reach out to customers will real-time offers thereby increasing their shopping basket. Since retailing is a low loyal category, CVM helps increase their loyalty towards the brand thereby increasing their brand preference. CVM is customer-centric, hence all the activities are centered around the customer which provides higher and better engagement. More on how Customer Value Maximization has helped retailers around the world in a subsequent post.